Don’t leave your growth goals to chance. 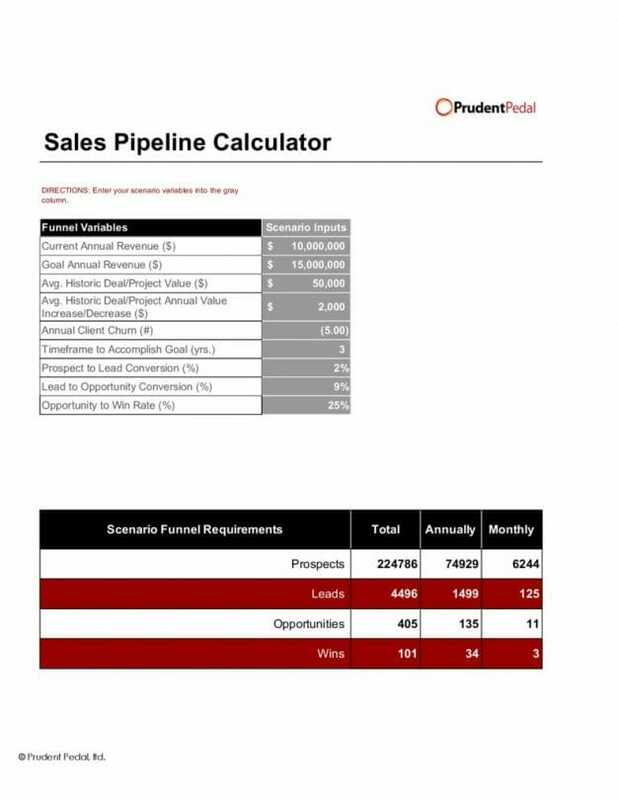 Use this intuitive Excel tool to pinpoint the number of prospects, leads, opportunities, and wins that Sales and Marketing need to surpass your growth goals. It’s hard to hit a nebulous goal. Sales and marketing in top firms work together to drive revenue for the firm, have interdependent goals, and do not leave lead generation to chance. This simple, powerful Excel tool helps you scenario plan on how your firm will achieve its growth goals.